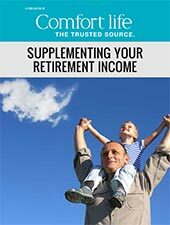 This eBook will help learn how you can supplement your retirement income. Imagine being able to have the money you need to live well in retirement. Get information about downsizing your house, how to de-clutter and successfully sell your unused items so that you can make some extra money. This e-book will help you begin to think about a move while addressing questions about coping with change, retirement home options, costs across Canada and much more. How you think about money is as important as how much you have,especially when you're planning for retirement. Planning a financial strategy for retirement is a major undertaking. That's why we've divided this important topic into three e-books. Selling your home after many years can be difficult and overwhelming. This e-book will help you decide if it is even time to sell.